If the thought of autumn and winter makes you feel rather dreary, it’s time to fill your home with cheering colour. 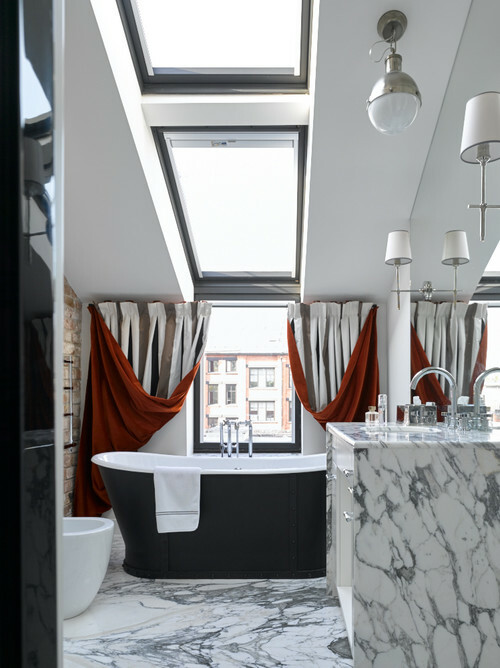 From flame shades to rich, velvety hues, there’s no denying that colour stirs the senses and helps to add atmospheric appeal to your home. 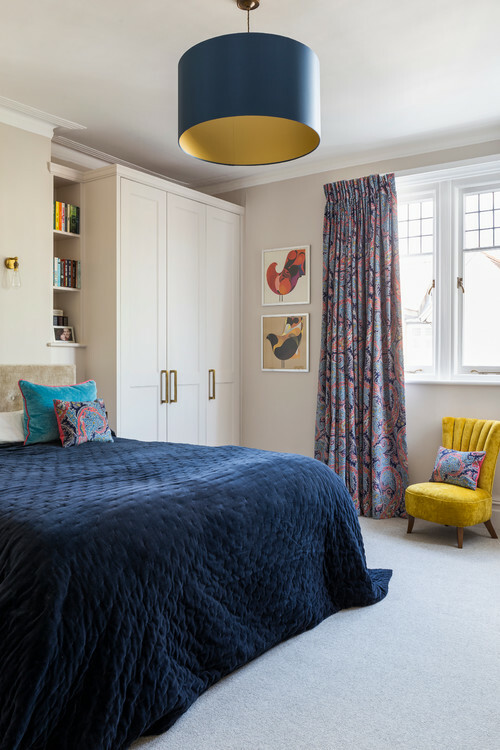 Look at a colour wheel to see how different paints or fabrics might play together and explore the following 10 tweaks that could make a big difference to your décor. Bold floor coverings are an easy way to change the feel of your space for the new season. Install a rich-toned rug for a striking statement – ideally in a contrasting or complementary colour, rather than something in the middle, for an injection of energy. This loud living room incorporates three analogous shades - neighbouring segments of the colour wheel – in this case, purple, red and orange. Think of the scintillating shades you see in a peacock’s feathers. These lustrous blues and greens work brilliantly for the colder months because, despite being cool-toned, they have bags of depth. The azure accents in this bedroom enhance the navy walls and dish out a dose of stately splendour. For a hint of colour without commitment, use accessories to emphasise the warm tones naturally present in wood. The subtle oranges and yellows in this map artwork – combined with one small cushion and a few timber pieces – are all that’s needed to give an autumnal impression. 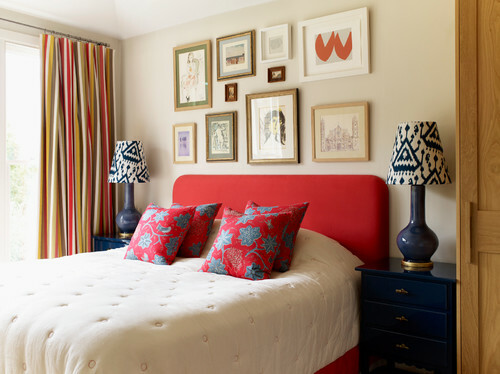 Group together primary red and blue for a simple bedroom composition that packs a punch. By including a double dose of neutral cream on the walls and bedspread, this sleep space is suitably restorative, but with an energising quality. 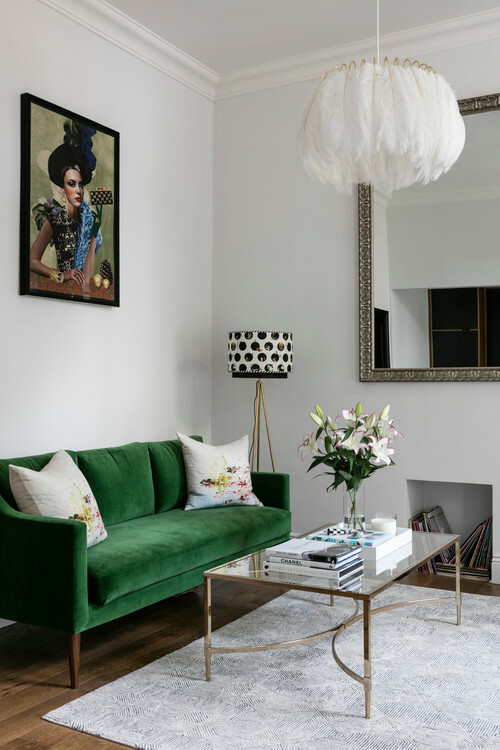 Elegant emerald green is particularly striking in the form of luxe velvet upholstery; combine with jewel tones for winter warmth. Gorgeous greens look equally fresh for spring when dressed with an array of light linen throws or pale cushions. 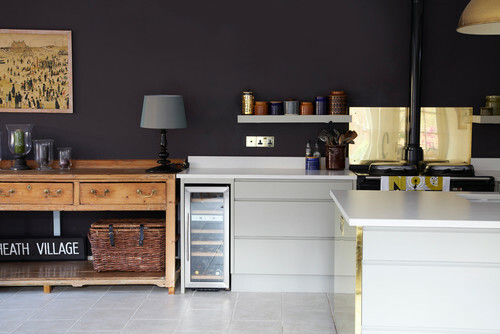 Dark colours can seem like a scary prospect for the kitchen – particularly when it comes to painting costly cabinets. But choosing a saturated shade for walls can impart drama, as well as working wonderfully with warm metals (it’ll feel cosy in cool weather, too). This atmospheric space features Farrow & Ball's Brinjal - an elegant dark aubergine. 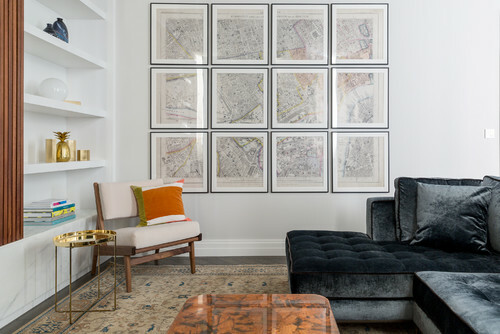 Giving your art collection a seasonal rotation might seem unnecessary, but pictures have a huge effect on the impression of colour in a scheme. 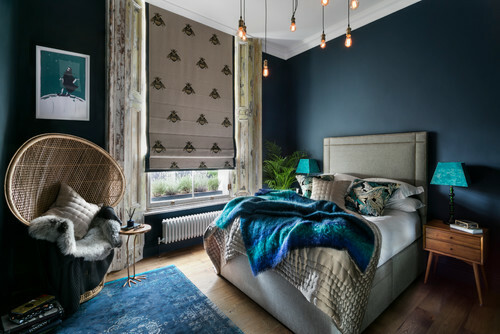 Autumnal tones mean this canvas complements the terracotta windowsills and cushion collection to a T.
Lampshades with a gold interior will do double duty, imparting an attractive glow when lit, but also providing a hint of metallic magic during the day. The navy exterior of this oversized shade ties in with the bedroom’s blue palette for cohesion. Transform your space with a quick colour injection that’s limited to one wall. 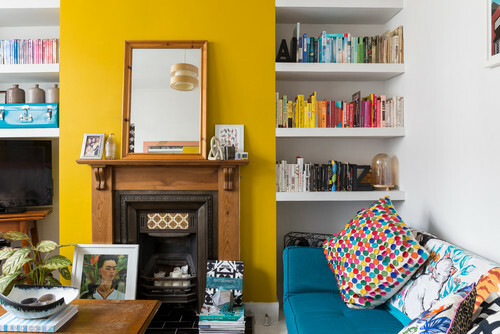 This technique has lots of potential applications: try it in a small cloakroom, or be bold and paint your chimney breast a striking shade, as seen in this bright living space.